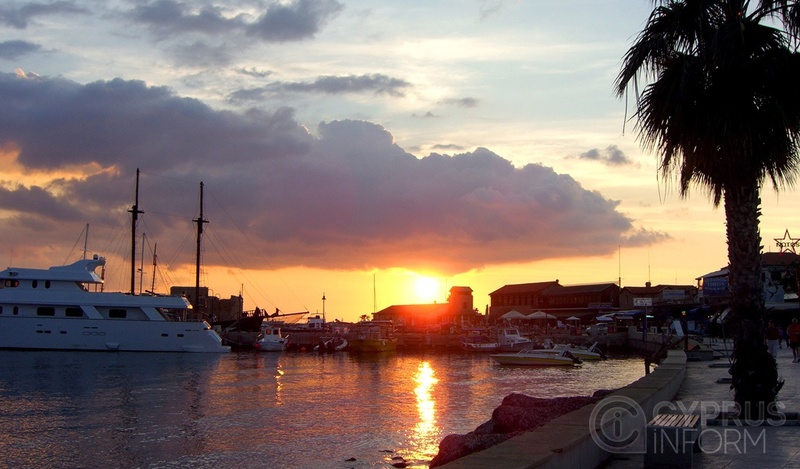 Despite the fact that Cyprus is a small island, each of its cities has its own microclimate. For example, in Paphos, the climate is much milder, and the air is still cleaner than in other cities because of the vast banana plantations growing there. There is no other place in Cyprus suitable for banana cultivation. Tourists are often interested to know when the ideal time to come to Paphos is and when the weather and water are best for a holiday. 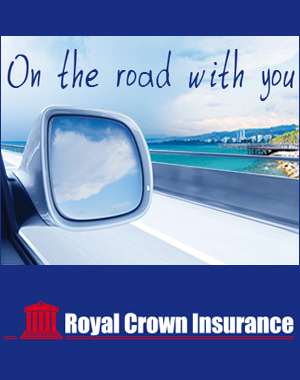 The weather in the Paphos region is perfect for holidays in June, July and August. However, during these months it’s a bit cooler here than in other areas. For those who love the warm sea and beach, it’s preferable to begin the holiday season in August and September, when the water warms up properly. 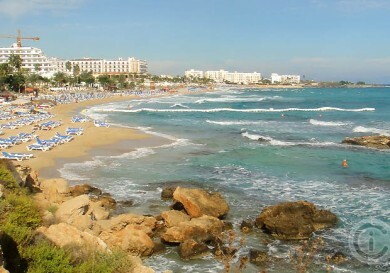 Most of the beaches in Paphos are rocky, unlike other cities of the island, and a sandy beach is a rarity. But the Paphos coastline attracts many divers, swimmers and snorkelers. Also, we should not forget that Aphrodite comes from the sea just at the Paphos shore. 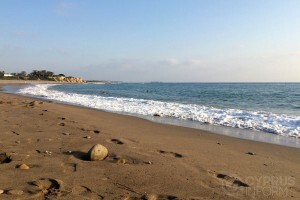 So, let’s talk about the beaches in Paphos and its surroundings. 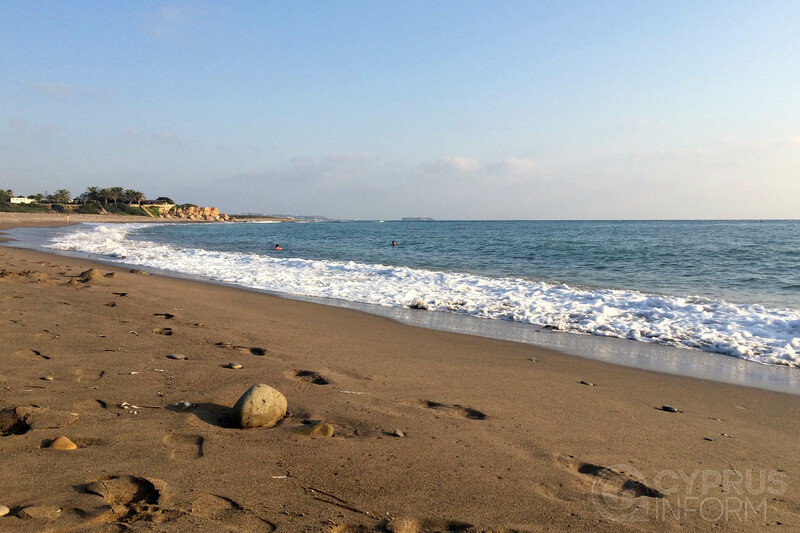 This, for sure, is the best of Paphos’ beaches. In fact, it’s not just a beach, but rather a large bay. The beach itself is almost a kilometre, about half lined with umbrellas and sunbeds – there is always enough space. Because of the natural protection of the cliffs on both sides, the sea is always very calm, warm and clean. If there is a strong storm at sea, there are small waves in the bay, perfect for those who are swimming. The beach is ideal for families with children – it has a gradual incline so you can be happy to splash around in the shallow water. The infrastructure here is also excellent – right next to the beach there are many cafes, bars and restaurants for all tastes. You will also find various shops with souvenirs and even fashion boutiques here. What hotels are near the beaches? Firstly, there is the five-star Coral Bay Hotel and Resort, ready to offer its guests excellent accommodation and a well-equipped and well-tended area with plenty of entertainment. Demanding guests will also like the five-star hotel, Sentido Thalassa, Coral Bay. Fifty metres from the sea is the four-star Panareti Coral Bay Resort, whose quality of service is almost equal to that of the previous hotels, but at a more affordable price. For those who prefer hotel apartments, the three-star Corallia Beach Hotel Apartments are offering their services. 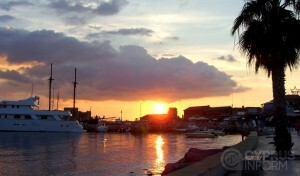 Paphos’ rocky waterfront attracts many tourists as there is much to see, plus there is the freshest seafood. Recently there has been added a very comfortable swimming pool with sun loungers, changing rooms, shower and toilet. 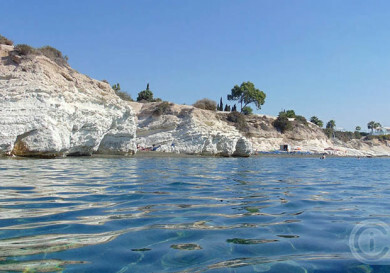 There is good and safe access to the water to ensure you will not injure yourself on the rocks, and you can comfortably climb down the ladder to enjoy swimming in a very pure, crystal-clear sea. Of course, it’s not a good idea to swim here with young children, but those who are able swimmers will get much pleasure here. Paphos Landmarks are no less picturesque than the city itself, but it’s straightforward and doesn’t take long to get there. There are two options. 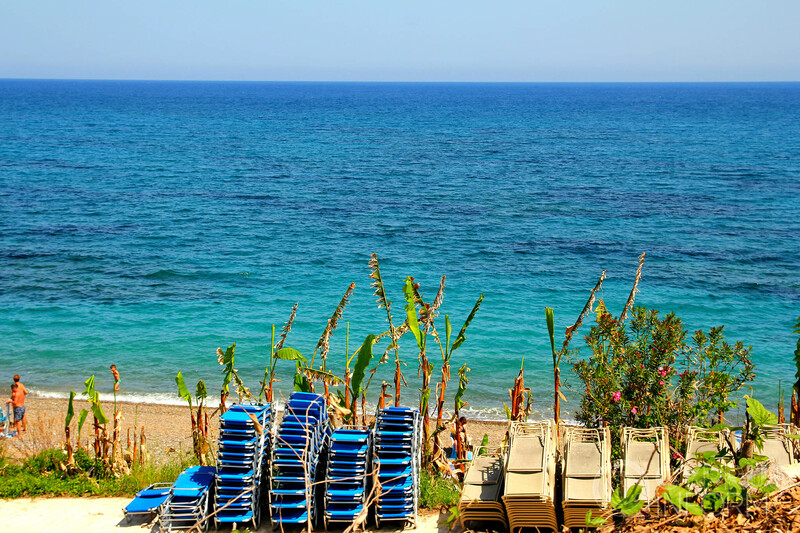 Firstly you can rent a car and drive to the Akamas Peninsula, stay in the town resort of Laci to relax on the spacious sandy beach, and then dine at one of the great traditional taverns. Secondly, you can choose one of the many short sea cruises. You will find a diverse list of such offers from local travel agents who locate their tables every ten metres or so along the waterfront in Paphos. 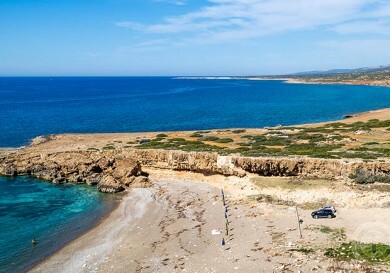 Cruises last from several hours to one day and will allow you to enjoy the nature and swim on the protected beaches of Paphos and the Akamas peninsula that can only be reached from the sea. Of course, no one can resist a visit to the famous beach where, according to legend, the goddess of beauty, Aphrodite, was born. Locals say that anyone who swims three times around the huge blocks of marble lying in the sea near the shore will gain eternal youth and beauty. This beach is particularly popular with lovers, and multi-coloured stones with initials on are laid out as hearts and cover the entire shore. There are souvenir shops and an excellent fish restaurant located near the beach. Located in a secluded spot is the small sandy beach of Lara. It’s not easy to get there, but on the way, there are many interesting sights. You will find the beach clean, the water always warm, and there is the opportunity to see the endangered giant green sea turtle, Caretta Caretta. If you are lucky, you may even be able to see this turtle laying eggs, but keep in mind that Caretta is carefully protected by law. 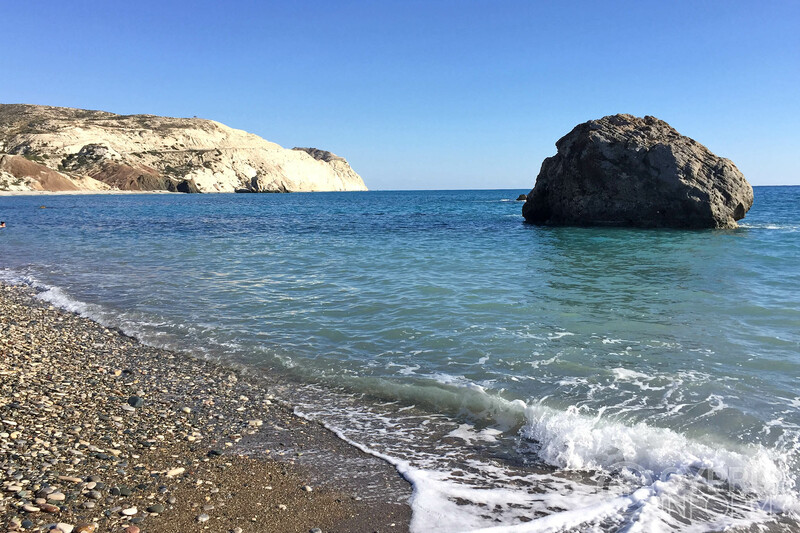 Of course, the birthplace of Aphrodite – Petra tou Romiou beach. Villa of Theseus with a well-preserved mosaic floor – right on the waterfront in Paphos. The knight’s castle of Crusader times on the shore, which has an impressive collection of archaeological finds. Tombs of the Kings – the ancient burial place of notable residents of Paphos. Which are the best beaches in Cyprus?